How am I notified of modification to the program? Ex: Additions or subtractions to the benefits? How can I ensure I was credited properly for a service visit? “I went to Heartland Toyota for an oil change. Brent Baird was extremely professional and helpful. He knew I was short on time, and he made sure my car was serviced in the time promised. He checked back with me a couple times to let me know the status, which I greatly appreciated. I had questions about another service needed, and he provided very helpful suggestions. 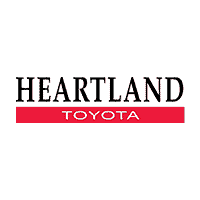 I will go back to Heartland Toyota again.” Jill C.